I have sold a property at 1584 Glencraig PL in VICTORIA. Well-situated on a small, quiet cul-de-sac, this lovely home has much to offer. The welcoming main floor boasts oak floors and a traditional layout with a sizable kitchen, living room with fireplace and a dining area opening onto a big 27x14 deck. 3 bedrooms up including a nice master bedroom with a full ensuite bathroom. Downstairs you will find a 3 bedroom/2 bathroom suite with insuite laundry (currently rented for $2100/month). Garage, workshop and plenty of parking on this LARGE lot. Walking distance to University Heights, Tuscany Village , countless other great amenities and less than a 10 minute bus ride to the University of Victoria! I have sold a property at 4093 Ebony TERR in VICTORIA. Updated and well-maintained Arbutus neighborhood family home. Located on a quiet tree-lined terrace of well-kept garden properties and close to UVic, Arbutus Middle, Mount Doug High, and Frank Hobbs Elementary. Convenient level entry to the spacious, open and bright main level featuring vaulted ceilings, new solid oak flooring, updated maple cabinet kitchen with open family room plus a desirable 3-bedroom layout including master with ensuite and walk-in closet. The full height basement provides a fourth bedroom, updated full bathroom, recreation room and plenty of additional space for hobbies and a workshop. This home has been well kept including recent roof, decking, and perimeter drain upgrades. Additional features include a large attached double garage, mature gardens and large sunny deck off the kitchen. The home is a must see! I have listed a new property at CLS CLS in VICTORIA. Reputable Vacuum retail business in Saanich Plaza. Serving Victoria region for 30 years for vacuum sales and repairs. Well known for portable, central and commercial vacuum services including top quality and dependability brand names like Miele and SEBO vacuum cleaners. Excellent lease with 5-year fixed rate. Close to 1,000 sq. ft with ample on-site parking. Ideal central location steps to Uptown Shopping Centre, only minutes to Downtown Victoria, Mayfair Mall, UVic, highways and bus routes. C-5 zoning permits office, retail sales, restaurant, daycare. Call today for this fantastic opportunity! I have listed a new property at 1595 Rockland AVE in VICTORIA. RAPPAHANNOCK, a prestigious landmark heritage mansion converted to 11 legal suites. Ideally located on a .6-acre private corner lot in Victoria's historic Rockland neighbourhood. Every suite is beautiful and unique in its own way with a full kitchenette and bathroom, basement storage locker, and on-site parking. Upper level suites possess stunning mountain and ocean views while the garden level suite enjoys secluded privacy. A separate carriage house provides future development potential with R1-A zoning. Same family ownership for over 40 years and well maintained over the decades with numerous updates. Landmark rock walls, original stained glass windows, detailed millwork, elegant setting, all makes this heritage revenue property a solid investment. Steps from the Government House, Craigdarroch Castle, Fairfield Plaza, and great schools. Only minutes from Dallas Road, Beacon Hill Park and Downtown Victoria. A very unique and rare offering of historic character, value and charm! I have listed a new property at 203 4009 Rainbow Hill LANE in VICTORIA. Brand-new stunning condo unit with upscale finishing on Christmas Hill. Just completed in Nov 2018, never been lived. NO GST! Overheight 9-foot ceilings with rich engineered hardwood flooring throughout all living areas. Open concept kitchen with 5 burner gas range, quartz countertops/large island, stainless KitchenAid appliances, built-in full height pantry, LED lighting and soft close cabinets. One-tough Gas fireplace, HRV unit, in-suite washer and dryer. Great layout of separate bedrooms, huge windows, walk-in closet with custom built-ins and amazing mountain/city views. Spa-inspired bathrooms offering heated floor, quartz countertops, luxury soaker tub, walk-in shower. Spacious balcony with natural gas outlet for BBQ & water tap. 2 underground secured parking stalls, 1 large storage locker. Centrally located just 10 minutes from Downtown Victoria, Close to Uptown Mall, Saanich Centre, UVic. This spectacular property is ready for immediate occupancy with New Home Warranty. I have listed a new property at 7 4011 Quadra ST in VICTORIA. Italian pizza restaurant located at a busy strip mall at the corner of McKenzie Ave. and Quadra St. In business for over 10 years with stable income and huge potential to grow. Signature pizza with hand-knead dough, authentic Italian spice, 100% real gourmet cheese blend, and most of all, variety, freshness and quality. 5-year lease in place, easy to renew. Awesome location across to Saanich Centre & super close to Uvic, Transportation, Parks, Recreation, Golf Course and Much More! Fantastic opportunity to own an easy-managed, easy-operated, history proven local pizza business. Call today! I have listed a new property at CLS CLS WAY in VICTORIA. Reputable Vacuum retail business in Saanich East. Serving Victoria region for 30 years for vacuum sales and repairs. Well known for portable, central and commercial vacuum services including top quality and dependability brand names like Miele and SEBO vacuum cleaners. Excellent lease with 5-year fixed rate. Close to 1,000 sq. ft with ample on-site parking. Ideal central location steps to Uptown Shopping Centre, only minutes to Downtown Victoria, Mayfair Mall, UVic, highways and bus routes. C-5 zoning permits office, retail sales, restaurant, daycare. Call today for this fantastic opportunity! I have sold a property at 304 930 North Park ST in VICTORIA. Here's the opportunity you've been waiting for! Very bright 2bd condo with windows on 3 sides and 2 balconies! Great open layout with nice separation between the two bedrooms. The many features include: cozy gas fireplace in the living room, in-suite laundry, secure underground parking stall, separate storage locker, central vacuum, custom built in shelving and storage, and laminate flooring. All this in a very quiet location overlooking green space and gardens in the courtyard. Park Place is a fully remediated building and well managed with a healthy contingency fund, plus it also has a guest suite for visitors. All this and located within walking distance to Downtown, Crystal Pool, Hudson District, and the Save on Foods arena. Unrestricted rentals, pets allowed (no size restriction for dogs!) and all ages. Perfect for first time home buyers, students, investors, and downtown urban dwellers. Don't miss out on this one as it won't last long! I have sold a property at CLS Douglas ST in VICTORIA. Well established signature Coffee shop in downtown Victoria. High traffic location with great street presence and surrounded by government buildings and commercial stores. Best rent and landlord you could find in Victoria! Currently a 5-year lease in place and easy to renew. 1,400 sq. ft in space plus 200 sq. ft outdoor patio seating, plus 1 reserved underground parking. 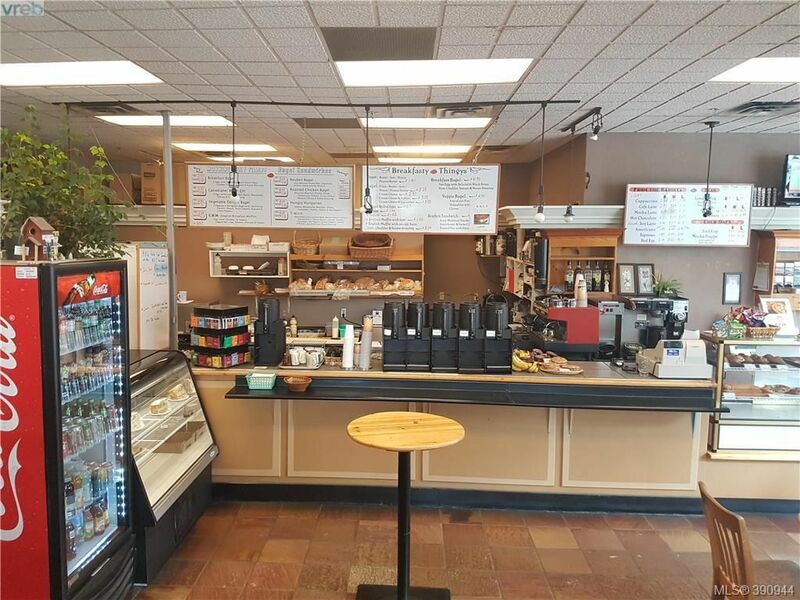 Proudly serving gourmet coffee, healthy breakfast sandwich, freshly house baked treats, and delicious light lunch. Huge potential to grow. Call today to book a showing. Please do not approach staff. Italian pizza restaurant located at a busy strip mall at the corner of McKenzie Ave. and Quadra St. In business for over 10 years with stable income and huge potential to grow. Signature pizza with hand-knead dough, authentic Italian spice, 100% real gourmet cheese blend, and most of all, variety, freshness and quality. 5-year lease in place, easy to renew. Awesome location across from Saanich Centre & super close to Uvic, Transportation, Parks, Recreation, Golf Course and Much More! Fantastic opportunity to own an easy-managed, easy-operated, history proven local pizza business. Call today! I have listed a new property at CLS Douglas ST in VICTORIA. Well established signature Coffee shop in downtown Victoria. High traffic location with great street presence and surrounded by government buildings and commercial stores. Best rent and landlord you could find in Victoria! Currently a 5-year lease in place and easy to renew. 1,400 sq. ft in space plus 200 sq. ft outdoor patio seating, plus 1 reserved underground parking. Proudly serving gourmet coffee, healthy breakfast sandwich, freshly house baked treats, and delicious light lunch. Extra revenue bonus from a licensed ice cream cart for beautiful summer season. Huge potential to grow. Call today to book a showing. Please do not approach staff. I have sold a property at 3342 Vision WAY in VICTORIA. Great House at a Great Price! Under Construction, A Modern Designed Home that Looks like a $Million but is half the price! With 1600+ Square Foot of Finished Living Area, 1900+ including garage 3 bedrooms, 3 Bathrooms, 2-Sundecks, Single Garage + Bonus/Flex room for Home Office/Granny/Teen Area or use as a Bachelor Suite for extra Revenue. A Three Story Modern Design Home in Desirable South Langford. Offering Quartz Counters, Heat Pump, Gas Fireplace, Laminate & Tile Floors, Modern Kitchen Cabinets with Island, Two Sundecks- one for morning sun and one for evening sun! A Full Appliance Package. This Home Offers Excellent Value and will be Completed in December. This is one of 2 new affordable homes offered by Seller. I have sold a property at 307 2022 Foul Bay RD in VICTORIA. Fantastic 2 bedroom condo in desirable Jubilee neighbourhood ready for immediate occupancy! You are going to be impressed with this spacious 3rd floor 2 bedroom unit on the back side (quiet side) of building. 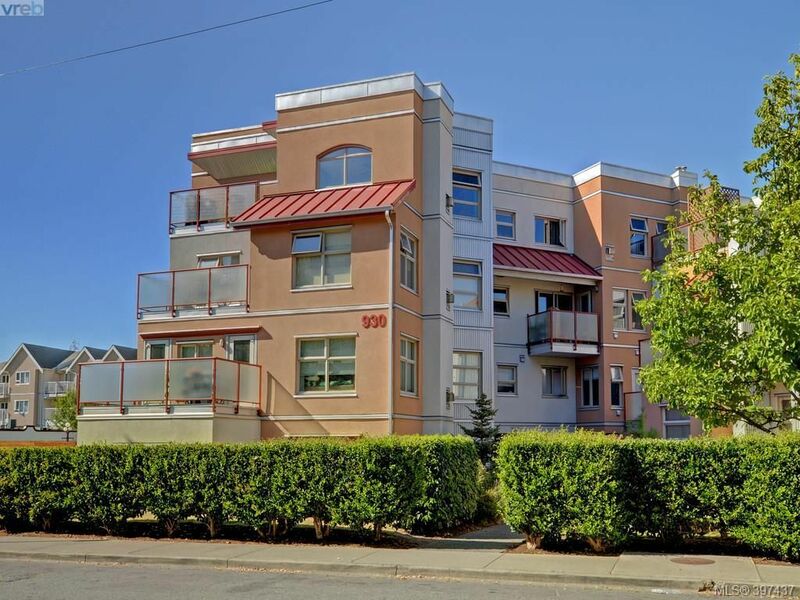 Conveniently located on the Oak Bay border, 2022 Foul Bay is a fabulous location close to Oak Bay rec center, a multitude of medical offices, Uvic and Camosun College, shopping, restaurants and easy access to downtown. Well run strata with building having recently undergone an exterior remediation. Unit is in excellent condition and the large balcony overlooks neighboring green space. Don't delay!  I have listed a new property at CLS CLS ST in VICTORIA. HAIRSTYLIST: Do you want to own your own business. It is time. Be your own boss and do what is the best for you. Profitable Hair Salon business selling at inventory and stock value! $60 000.00 in retail hair products in inventory plus stock value. Located in downtown Victoria. Spacious 1,150 square feet. Next to the City parkade with easy parking. 3 staff members and 1 part time. Excellent 5-year lease in place, easy to renew or assign. Best rent in the City of Victoria. Two segments of business income: Hair Salon, hair styling; Retail Sales of quality hair styling products. (incl). Nail Technician opportunity (equipment incl.). Owner has been in business for over 25 years. This is a successful salon for a long time with stable and solid revenue. Owner wishes to retire. Will stay to assist transition if required for 3 – 5 months. This is a rare opportunity to take over a profitable business for yourself. Showing by appointments only. I have listed a new property at 1611 Hollywood CRES in VICTORIA. Amazing south-facing waterfront luxury in Fairfield with direct access to beach! Newly paved driveway, brand-new outdoor kitchen, fully sealed glass-wall patio off master bedroom. Fully extensively renovated in 2007 by award-winning interior design and developer. Main floor features open floor concept with fantastic views looking over the Juan de Fuca Strait and Olympic Mountains. Chef inspired high-end kitchen. Generous dining area with custom ceiling and lighting. Living room with floor-to-ceiling, wall-to-wall doors leading to outside with expansive ocean views. Upper level features a family room with built-in cabinetry, master retreat with spa-like ensuite and breathtaking oceanfront views. An office with custom built workstation. Lower level features fully equipped gym, family room with theatre, wet bar, small workshop, wine room, and extra bedroom with 4-piece bath. Prestigious location near Cook Street Village, Beacon Hill Park, downtown Victoria and Oak Bay. Home must see! I have sold a property at 103 606 Speed AVE in VICTORIA. Lifestyle, value and the perfect central location home built in 2013. This beautiful west coast designed, 2 bedrooms 2 bathroom walk up town home offers a great combination of comfort and flexibility. Terrific spacious townhouse close to downtown, Mayfair Mall, Uptown, Galloping Goose & major bus routes. Spacious floor plans, high ceilings, patio, master bedroom balcony and an efficient use of square footage make this home all the more valuable. Granite countertops & quality finishings throughout. No rent restrictions, direct access to the unit from the parking stall and a beautiful common rooftop patio area are just some of the perks. I have sold a property at 206 1642 McKenzie AVE in VICTORIA. Rentable two bedroom, two bathroom condo in the sought after Tuscany Village complex near UVic. This condo features an ideal floorplan, with the two bedrooms being separated by the open living areas. Privacy and convenience, with the master bedroom including a walk-through closet and ensuite bath, and the second bedroom situated beside an additional 4pc bath. High ceilings, fresh paint, laminate flooring, bright South-facing windows, and immaculate finishings throughout. The kitchen includes stainless-steel appliances and stylish cabinetry. Open to the living/dining area, with sliding door providing airflow. Convenient in-suite laundry, secure underground parking, and separate storage all included. This condo is in move-in ready condition, and allows rentals and small pets. Unbeatable location for students with groceries, restaurants and cafes at your door. Walk to UVic in minutes, or hop on a nearby bus to connect you to the city. Profitable Hair Salon in downtown Victoria. Spacious 1,200 square feet. Next to city parkade with easy parking. Excellent lease in place, east to renew or assign. Three segments of business functions: Hair Salon, Retail Quality Hair Styling Products and Online Marketing. Owner has been running this successful salon for a long time with stable and solid revenue. Owner is now retiring. Asking price $65,000 at inventory value. A rare opportunity to take over a turn-key business. Showing by appointments only. I have sold a property at 1211 845 Yates ST in VICTORIA. A rare opportunity, presenting a luxurious Sub-penthouse in “The Wave” one of only three units on the 12th floor. Bask in the sunlight and enjoy the water and Sooke Hills views in this Super Corner Unit with windows on three sides, 9’ ceilings, floor to ceiling windows and two balconies. Modern finishings throughout including granite counters, maple cabinets, backsplash, S/S appliances, microwave hood range and slide in range, engineered hardwood floors, insuite w/d, and ample closet space. This popular concrete and steel building allows rentals, is pet friendly and has a private gym. Walking distance to all that vibrant downtown Victoria has to offer!